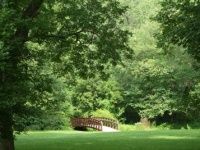 List of County parks to visit in PA.
A Beautiful Berks County Park! There is plenty for visitors to do at this PA county park. If you enjoy sports try out the sand volleyball court, the tennis court, the shuffleboard court, or the horseshoe pits. A ranch-themed playground is available for children and grills and pavilions make this a perfect place for a summer picnic or barbeque. A fitness course and walking trails run through the Gring's Mill. Check out the historic mill buildings and buy something to munch on at the snack bar housed in the barn. Events are held year-round in the park's outdoor amphitheater. The park is open all year from 8am to dusk. One of the Largest County Parks in Pennsylvania! 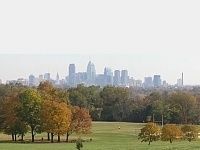 Fairmount Park is a county park system located within Philadelphia city limits. 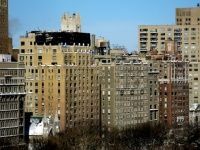 It is made up of the joining of over 63 neighborhood parks and is within walking distance of every Philadelphia resident. A beautiful and relaxing break from the bustle of the city, Fairmount Park is a retreat where you can read a book while lying in the sun, have a family picnic, walk a shady trail, or bring friends and play sports. A great place to go for outdoor activities in Philadelphia! History lovers will enjoy taking tours of the historic buildings located within the park or visiting one of the several museums there. Fairmount Park is free and is open year round. A Great County Park near Pittsburgh! 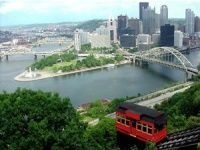 This Allegheny County park located in Pittsburgh offers visitors a huge range of recreational activities! A free park which is open year round, Boyce Park has something to do whatever to season. In the Summer visit the nature center, play tennis or do some skating or biking. When it gets too warm relax in the wave pool or stop for a picnic in one of the shaded pavilions. There's always something to do in the Four Seasons Activity Center! Winter activities include snow tubing, snowboarding and downhill skiing with affordable prices for all. Equipment rental is also available for winter activities and lifts for both skiing and snow tubing make your day of adventure even more relaxing. One of the Best County Parks to Visit in Pennsylvania! The largest county park in Lancaster, Central Park offers visitors beauty, relaxation and a variety of activities. A free skate park accommodates inline skaters and skateboarders of all competency levels. 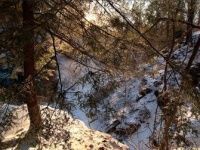 This PA county park has various trails for hiking and walking, including an equestrian trail and cross-country skiing trail. A fitness trail has exercise equipment along the way and includes illustrations on proper use. Be sure to visit the park's "Garden of Five Senses" to experience the dazzling beauty of nature. Need a place to do some gardening but don't have your own yard? Rent a garden plot from the park and watch the fruits of your labors spring up before your eyes. Central Park is open year round from dawn to dusk. A Great Place to Spend the Day with the Family! This Bucks County park offers something for the whole family. Bring the kids and learn about the environment together in the nature center, then let them play on the playground before relaxing in one of the picnic pavilions for lunch. If you have a dog you can bring him to enjoy the off-leash dog area located within the park. Tennis and baseball fields, bike trails, and hiking trails are available in this 1200 acre park for those looking for more active recreation. Rent a boat and go fishing or simply enjoy floating along enjoying the sunshine in this relaxing park in Bucks county. This free park is open year round. This PA County Park is Ideal for Fishing and Boating! 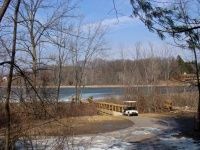 Twin Lakes Park, located in Westmoreland County is a wonderful place for a day visit. Expanded in September of 2011 to include an accessible playground and winter sports area, plans for further expansion are in effect. 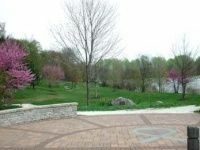 Paved handicapped accessible walkways circle around both lakes making for a lovely scenic walk. The lakes are ideal for boating whether it be for recreation or fishing. Rowboats and pedal boats can be rented at the boathouse for reasonable hourly rates. The boathouse also sells refreshments to visitors, and live bait for fishing enthusiasts. Peach Plaza skate park, located within Twin Lakes Park is free to the public and is open year round from 9am to dusk. High on the List of York County Parks! If you're looking for PA county parks in York, this is the place to go! Several sports areas exist including a sand volleyball court, softball and soccer fields and horseshoe pits. 2 miles of trails which circle the park are great for running or walking. Bring your dog to Canine Meadows, an off-leash dog area which provides recreation for your furry friends! Horticulture lovers can visit the Display Garden where master gardeners cultivate a beautiful array of plants and flowers for your enjoyment. Events take place throughout the year in the park including garden tours, star gazing, and motocross bicycle racing. County Parks in PA, Delighting Visitors for Generations! Named for the beautiful 45 foot waterfall located within it, Buttermilk Falls Natural Area is a wonderland of natural beauty. Set aside as an area that is to be preserved untouched by human intervention, this is a great place to see animals in their natural habitat. This was a favorite place for Fred Rogers of television fame to visit as a child when his grandfather owned the land in the mid 1900s. 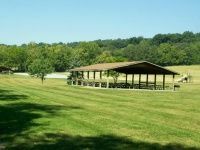 A small picnic pavilion and restrooms make this a great place to come spend an afternoon with the family. This Indiana County Park is truly beautiful. Smedley Park is located on 120 acres of shady forest and gentle hills. This family oriented park has playgrounds, walking tracks, and hiking trails. Relax in shady picnic areas or bring sports equipment and play baseball or soccer in the park's open fields. Visit the environmental center to learn more about nature. Smedley is also home to the Lewis House, Penn State’s Cooperative Extension of Delaware County. 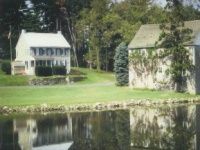 Lewis House operates several environmental programs including 4-H Clubs, Master Gardeners and Horticulture Agents. The park is open year round from dawn to dusk. Tops the List of Chester County Parks! With lots of recreational opportunities, this PA county park is fun for the whole family. 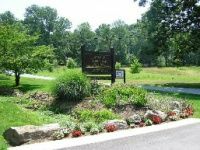 A safe place for your children to play, this Chester County park offers separate playgrounds for children 2-5 and children 5-12 years old. Several pavilions offer pleasant places for visitors to picnic. Trails run through the forests and meadows and are wonderful for nature studies or amateur photography. French Creek, which runs through the park, offers great angling opportunities as it is home to both cold and warm water fish. Fishing enthusiasts can look forward to catching Smallmouth Bass, Rock Bass, Sunfish and Pickerel. This free public park is open year round.